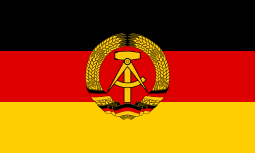 The Initiative for Peace and Human Rights (German: Initiative für Frieden und Menschenrechte) was the oldest opposition group in East Germany. It was founded at the beginning of 1986 and was independent of the churches and state. In February 1990 it merged with New Forum and Democracy Now to form Alliance 90. People involved in the Initiative for Peace and Human Rights included Bärbel Bohley, Ulrike Poppe and Ibrahim Böhme. This article is issued from Wikipedia - version of the 5/21/2014. The text is available under the Creative Commons Attribution/Share Alike but additional terms may apply for the media files.